Climate change impacts involve threats and costs touching on all aspects of contemporary municipal life, and many of its effects on urban environments have yet to be effectively quantified. These growing climate risks have clear implications for local economies and the financial well-being of municipal governments. Well-planned adaptation measures can improve the quality of urban life as well as protect lives and infrastructure, strengthen community ties and improve economic performance. The Building a Climate-Resilient City series was prepared for the City of Edmonton and the City of Calgary by the International Institute for Sustainable Development in collaboration with the University of Winnipeg’s Prairie Climate Centre. This series makes recommendations for steps that cities can take as part of their municipal adaptation planning to build their resilience to climate change. It explores three key principles of resilience building: robustness (strong design), redundancy (building extra capacity into systems to act as fail-safe networks) and resourcefulness (citizen empowerment). This policy brief* examines ways to build resilience in energy and ICT infrastructure as a contribution to building urban resilience to climate change. The purpose of this work is to demonstrate connections between energy and ICT and other city infrastructure, showcase best practices for improving resilience within these sectors and provide recommendations for action to integrate resilience into this system. *The text below provides the key messages and recommendations from the brief and summarises some of the economic and financial factors that can support the building of climate-resilient cities. See the full text for much more detail. A warming and more variable climate stresses the electricity grid by increasing cooling demand requirements and by its exposure to climate shocks such as ice storms, droughts and tornadoes. Conventional infrastructure design standards need to be strengthened to account for climate change impacts; the PIEVC protocol is a proven Canadian methodology. Renewable energy generation and storage technologies are modular and distributed, and provide resilience to climate shocks. ICT is naturally decentralized and modular, and has high climate resilience. Redundant landlines, Internet service provider diversity, emergency roaming and cell phone micro-charging backup systems will increase ICT climate resilience. Building Robustness: Increasing the robustness of energy and ICT infrastructure generally means strengthening and hardening the design of conventional infrastructure components with respect to key climate vulnerabilities. An important Canadian example of leadership on the necessary design protocols is the Public Infrastructure Engineering Vulnerability Committee (PIEVC) protocol advocated by Engineers Canada. Subjecting energy infrastructure design to the PIEVC protocol may reveal, for example, that projected ice-load and wind-load conditions exceed design limits for conventional residential electricity distribution and that the distribution system should be buried underground. Promoting Redundancy: The principle of redundancy in the energy sector is best understood as the capability of grid subsystems to generate, distribute and, in the future, store energy in the event that other parts of the grid are disrupted from a major climate shock. Modern residential and community-scale decentralized renewable energy technologies (RETs) can provide a level of system redundancy that was inconceivable a generation ago but is now implemented in cities around the world. Smart grid technology—smart meters, smart appliances, renewable energy generation, automatic power production, power conditioning and distribution control—is central to energy system resilience. Similar principles apply for ICT—redundancy means access to diverse communication channels in the event main channels are disrupted. Encouraging Resourcefulness: Resourcefulness is the intelligent use of existing resources; in the energy sector, the key enabler is smart grid technology that increases citizen awareness of the timing and magnitude of their power consumption, and helps citizens reduce consumption. Time-of-use pricing schemes, where energy use is priced based on peak and off-peak hours, can also help to drive behaviour towards conservation through financial motivation. Encouraging people to change their habits and use energy at off-peak hours can result in savings for individuals and reduce the surge in energy demand during peak times of day. In the ICT sector, resourcefulness exists primarily at the network level. 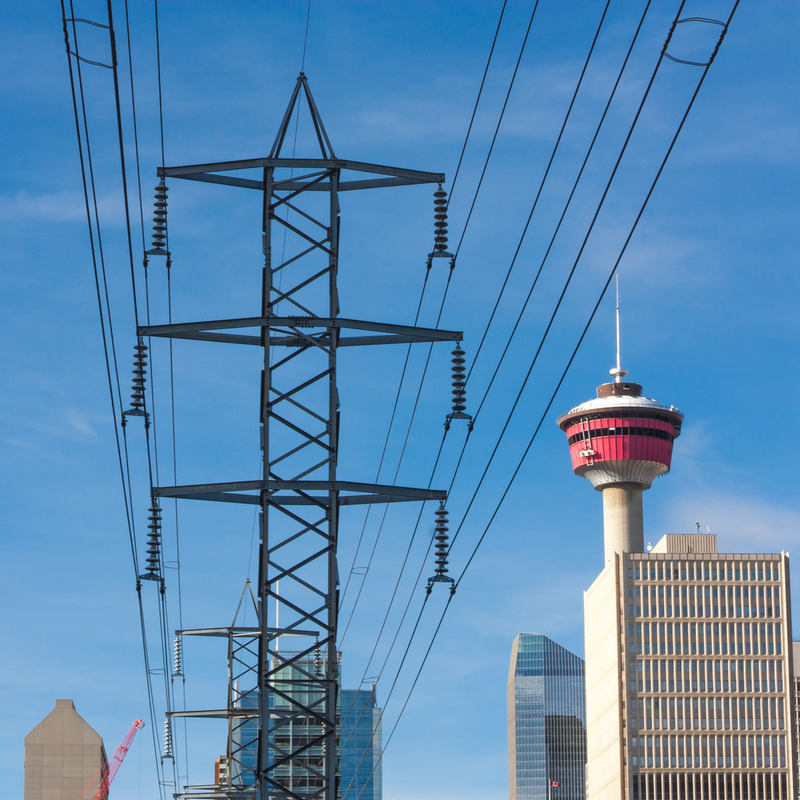 How Canada is and could be building robustness, promoting redundancy and encouraging resourcefulness in electricity and ICT infrastructure is discussed in much more detail in the brief. To read more about applying the above principles to electricity and ICT infrastructure in an urban resilience-building context, please refer to the full text. Creating a climate-resilient city is a form of enterprise risk management that should be embraced at senior political levels as an economic development narrative and understood by the bureaucracy as modern asset management. Develop key messaging that climate resilience will reduce future risk and costs, and makes the city more attractive. With respect to energy and ICT infrastructure, the resilience narrative is highly compatible with the cleantech and smart grid narratives that the most innovative international cities embrace. With this narrative widely accepted as a consensus vision in senior political and business circles, the regulatory reform agenda becomes easier to implement. A local version of the Pecan Street Project in Austin, Texas, is an appropriate aspiration for resilient urban life. Relatively straightforward regulatory and administrative measures that enhance energy and ICT infrastructure robustness include an engineering procurement protocol that new public or private infrastructure investments (power distribution, cell towers) require a PIEVC process to identify key climate vulnerabilities. For ICT, policy-makers could heed the lessons from Hurricanes Irene and Sandy and require that wireless providers allow full roaming in emergency situations. Jurisdictions around the world have experimented with feed-in tariffs to subsidize grid-connected renewable energy for its positive environmental externalities. As renewable energy drops in price, the logic for conventional feedin tariffs may diminish; however, the logic for incentivizing smart grid, distributed renewable energy and distributed storage for climate resilience is increasing and its economics should be examined from an enterprise risk-management perspective. Implementing time-of-use pricing structures for residential and commercial use can have the two-fold benefit of (i) influencing energy consumption behaviours to spread out usage across peak and nonpeak times and (ii) decreasing stress on the energy grid during peak use times. Policy-makers should also consider incentives to encourage new entrants into the ISP space, a good example being www.les.net, which is essentially a startup telecom company offering gigabit connectivity and enabling a cluster of new technology companies in downtown Winnipeg. The most critical citizen-level initiatives relate to self-interested smart consumption like engaging with the smart grid and technology-enabled emergency preparedness. Outreach campaigns to encourage preparedness should include promotion of hand-cranked cellphone chargers and radios to ensure communication in blackout situations.